What a week it has been! Lots of exciting (and not so exciting things) that happened this week. Here is a recap of some things I’m loving this week. 1. Fresh Fruit – Even though it has only been in the 50’s, I’m loving that fresh fruit is back in season! 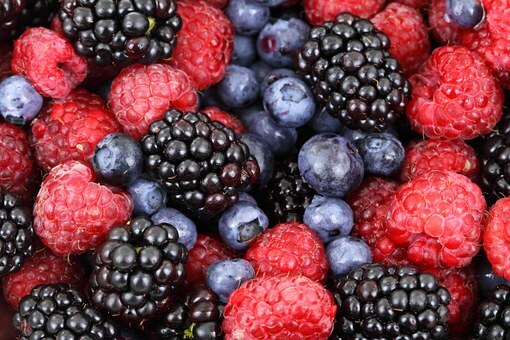 This week I have been trying to make an extra effort to eat more fruits and veggies, so for a morning snack I have been bringing a blackberry, blueberry, strawberry and banana mix to work. Yum! 2. Grace and Frankie (Season 2) – The best and worst part about Netflix is that the series are released all at once. 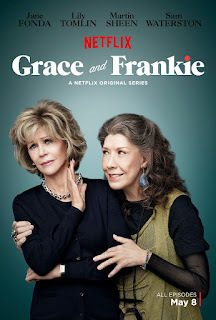 I watched the first season of Grace and Frankie last summer and have been hooked ever since! Season 2 was released last Friday, so naturally last weekend was spent binge watching (what else is there to do when it’s pouring rain all of the time?!?) Jane Fonda, Lily Tomlin, Sam Waterson and Martin Sheen – what’s not to love. 3. Longer Days – I am a morning person by nature, but am loving all of the extra daylight that we’ve been getting lately. I naturally wake up earlier when it is light in the morning (the sun starts peaking through the curtains) and am able to get out the door and get my run in without hitting “snooze” ten times. While I wish that warm weather would come along with it – more sunlight makes all the difference in my productivity and motivation. 4. 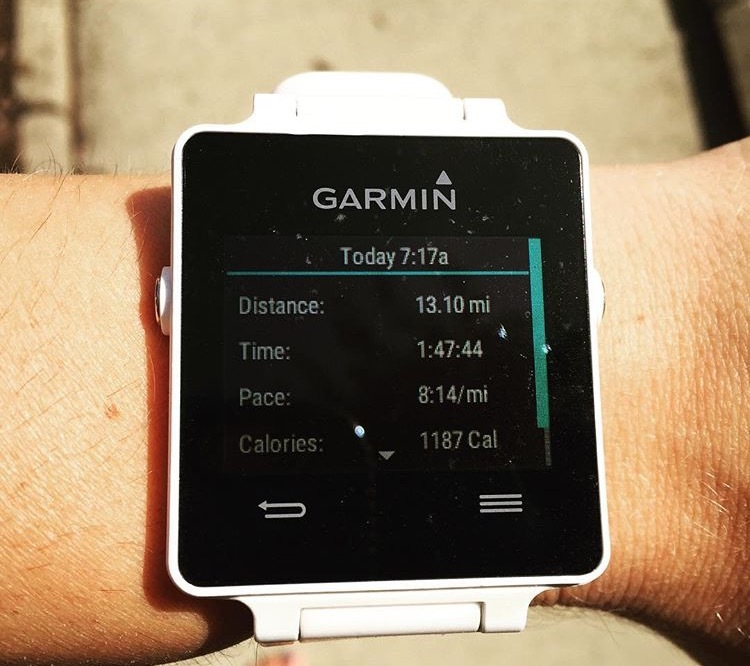 Running Without a Garmin – As I stated in a previous post, I have been doing all of my running by “feel” and only using a stopwatch (rather than the Garmin). Make no mistake – I still track my distance after the run – but there is something very liberating about running by feel only. It’s something that I feel like I never really learned to do and I think that once I am back to a regular training regimen it will be a lesson that sticks with me. It’s a whole different mentality to run by minutes rather than miles and a concept that I’m really starting to enjoy. 5. Family Time – Mike and I are lucky in that our parents essentially live in the same town (we grew up about 10 minutes apart) which makes sharing time during the holidays that much easier. Last weekend we celebrated Mothers Day on both Saturday and Sunday and were able to spend time with both of our families. We met my parents half way between our houses for a Mother’s Day lunch on Saturday afternoon and on Sunday headed out to my sister-in-law’s new house for a Mother’s Day BBQ. It was really nice to be able to catch up with everyone! Those are my five favorites this week – what things are you loving lately??? Please share!!! Then check out other Friday favorites at Happy Fit Mama’s Friday Link-Up! seen the video, be sure to check it out here. So in celebration of the upcoming weekend here is a recap of some things that I have been loving this week. 1. My new Asics (GT 2000-3). Yes, my new Asics are the “old” model but I got them heavily discounted from Running Warehouse for only about $70.00. I had an existential crisis after Brooks changed the Adrenalines beyond recognition and I was forced to look elsewhere. Finding the right shoes has always been extremely difficult for me because of the way my feet are shaped (I get really bad blisters in almost every shoe). Believe me, I have tried changing sizes, widths, models… and there is still only about a 1/10 chance that the shoe will even be tolerable. So when I find a shoe that works – I stick to it! I had sworn off Asics a few years ago when a different pair caused all sorts of blisters, aches, and pains, but after exhausting all of the other major brands’ stability shoes I figured it was worth a try. I’m happy I did, because these shoes have been working out great so far (and they are fun)! 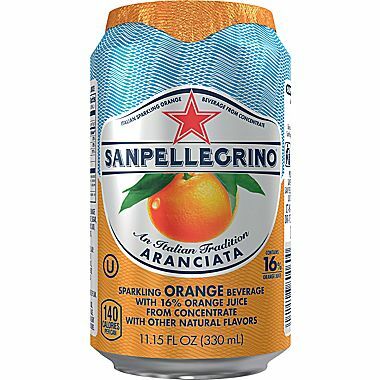 I’m not a big pop (yes, pop) or juice drinker, but for some reason I really like the San Pellegrino Aranciata sparking juice drinks. Maybe because it’s getting nicer outside and I’m looking for something more “summery” than just plain water or hot tea. 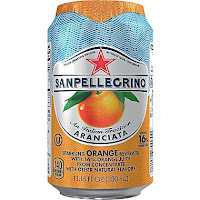 While they are more calorie packed then the typical sparkling water (presumably because of the added juice) to me they are definitely worth it as a treat (although it is hard to keep myself restricted to one – I swear I could drink the whole 6-pack! A mama bird has set up camp in an alcove across from our front door! I just love watching her watch over her nest (although I wish that I could see the eggs/babies inside). She is usually pretty calm and won’t fly away as we come in and out of the house. I have come to feel very protective over the nest (shooing the dogs away from the front door because they also seem to like watching and making sure to not be too loud or cause too much of a commotion when coming and going). The spot that she picked is right next to an old bird nest that has been there for quite some time – creating a double decker bird condo of sorts. Way to go mama bird! Hard to read, but I was so thrilled with stumbling across this during an early morning run I swung back by the house to grab my camera. While I’m fairly certain this was done for the Girls on the Run program at the local school (and not just for me) it definitely brought a smile to my face. Yes, random sidewalk artist – I CAN do it! I love finding new TV shows. While I’d like to think that I don’t watch *that* much TV, lately Mike and I have been in a real TV slump. Unexpectedly, we stumbled across the comedy Crowded, which is a show about a couple who have their two post-college aged daughters move back home. Add in some meddling parents/grandparents (think Everybody Loves Raymond) and hilarity ensues. While I would not classify this as a shoe-in Emmy award winner – it is good, old fashioned mindless entertainment. Those are my five favorites this week – what things are you loving lately??? Products? TV shows? Unexpected surprises? Feel free to share! 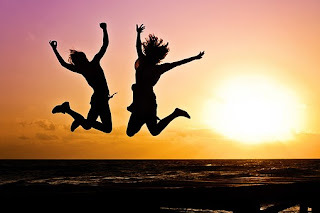 Then check out other Friday favorites at Happy Fit Mama’s Friday Link-Up!